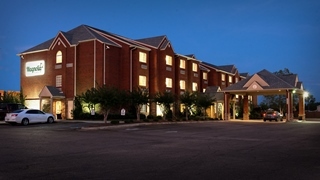 Conveniently located on Hwy 98 in Columbia, MS, this 70 room hotel is the ideal choice for your stay in this area. Our charming hotel is the toast of the town and is dedicated to making sure that each of our guests has an outstanding experience from start to finish. To start your day we invite you to enjoy our Complimentary Continental Breakfast which includes hot biscuits and gravy, sausage and eggs. After work you can unwind out by the pool, in the fitness room or by watching television in your room on a flat screen TV. There is no need to look for the channel guide; each of our rooms is equipped with the DIRECTV Residential Experience. 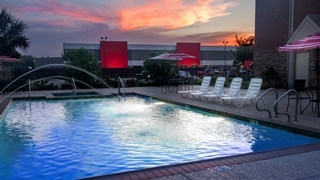 Our outdoor pool and Jacuzzi are seasonal and perfect for the spring and summer months. The Meeting Room seats 45 people and features state of the art audio/visual equipment. 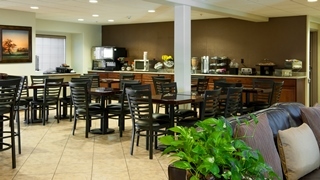 Many of our local businesses and residents use it for business meetings as well as showers and other social events. While you are in Columbia we hope you have the opportunity to visit some of our local attractions such as the newly remodeled Marion Theater, John Ford Home, Historical Courthouse and Museum and the Recreational Railroad. You will enjoy the southern hospitality, charm and flavors at our local restaurants like The Magnolia Grille, Rajun Cajuns and The Broad Street Restaurant. We are a short drive from the University of Southern Mississippi, William Carey University and Pearl River Valley Community College.